Fact - Plastics can take up to 400 years to break down. Almost all the plastics ever made can still be found somewhere. 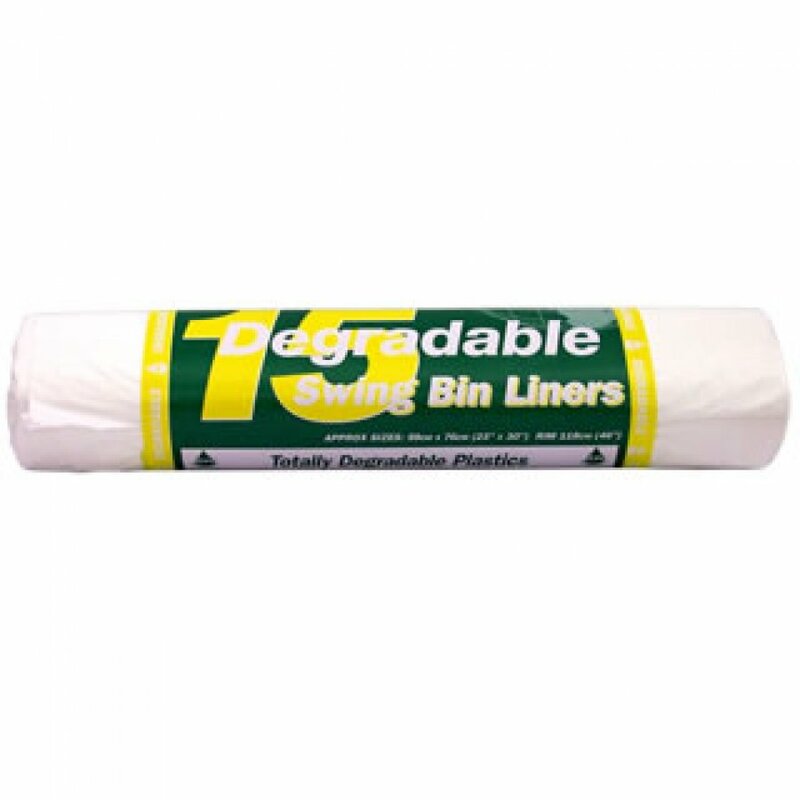 The 15 d2w Degradable Swing Bin Liners 50 litres product ethics are indicated below. To learn more about these product ethics and to see related products, follow the links below. Most econim al way to buy biodegradable bin liners. Good size, fit my kitchen bin well. Stronger than many non- biodegradable products. Pleased with product. These are a generous size in my large brabantia bin and are good quality. I usually order about 6 months worth and they show no sign of degradation in that time although I am reassured they will once used. 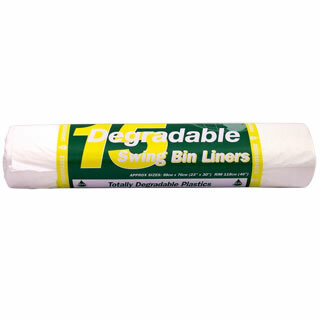 There are currently no questions to display about 15 d2w Degradable Swing Bin Liners 50 litres.